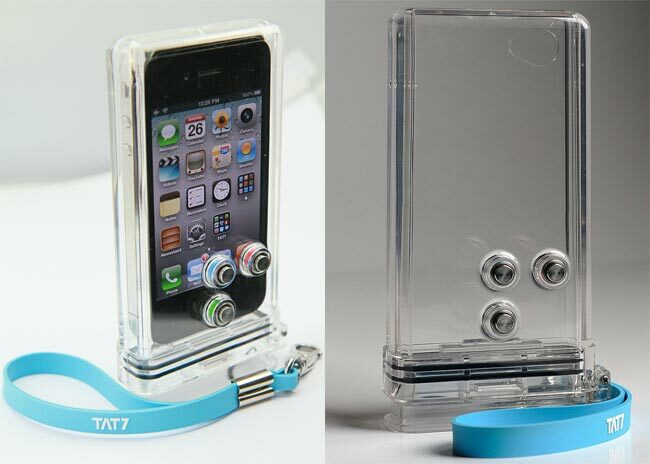 The TAT7 iPhone Scuba case is a case for your iPhone 4 and iPhone 4S that will let you use your smartphone underwater, and the case will apparently keep you device waterproof up to 100 feet. This fun underwater iPhone case and it even comes with some built in buttons so you can access the camera app on your device, although we are not sure if that will work now on the home screen with the latest version of iOS. If you want one,the TAT7 iPhone Scuba case is available for $85 and it is compatible with the iPhone 4and iPhone 4S have a look at the video of it in action below.